TV serial Yeh Un Dinon Ki Baat Hai feels like a breath of fresh air in a sea of repetitive, high-octane saas bahu drama. Since its debut last year, the TV show has been an absolute hit among the audience, both young & old alike, and continues to gain massive popularity. This 90s romance drama with its excellent storyline and stellar performances from the characters has become a favorite show on Indian Television. 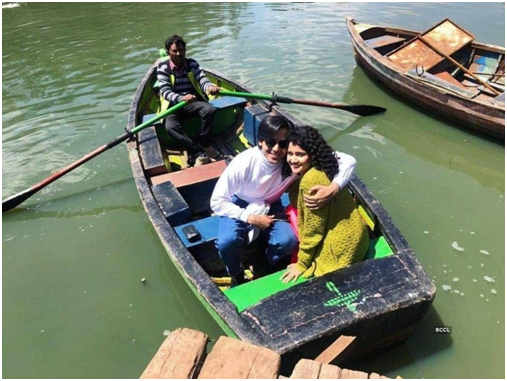 Not only has the show managed make us nostalgic by taking us back to the good old days but the lead couple Sameer and Naina or Samaina, have won the audiences’ hearts with their innocent love story. 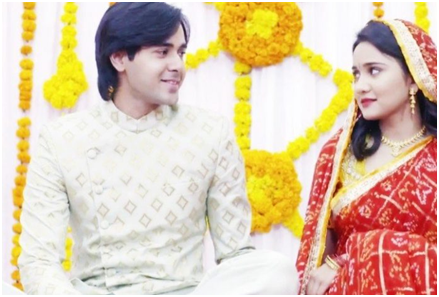 Sameer (Randeep Rai) and Naina (Ashi Singh) are undoubtedly one of the top jodis on TV with a legion of fans. With Naina’s innocence and Sameer’s flamboyance, the couple has managed to recreate the sweet romance of the 90s. And then fans were left overjoyed when Sameer and Naina took the next big step – Got hitched and went on a honeymoon. Remember Sameer and Naina enjoying the romantic season of monsoon by dancing on the streets, huddled close under a single umbrella drinking tapri ki chai! 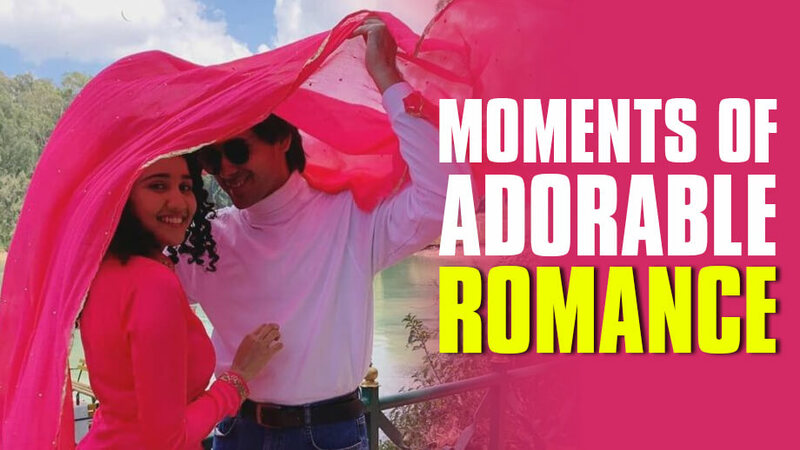 During their engagement ceremony, Sameer and Naina indulge in a cute moment of mushiness. 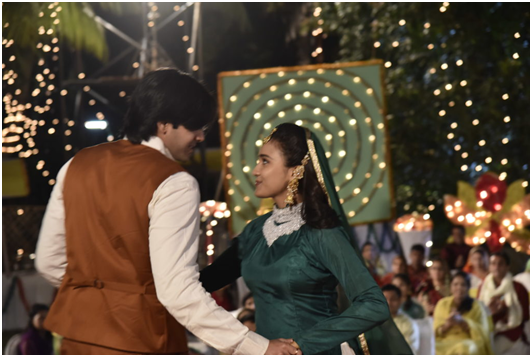 While they are sat next to each other, Sameer sneaks in to hold hands with Naina away from their guests’ prying eyes which had her grinning from ear-to –ear. This sweet, innocent moment made our hearts full! 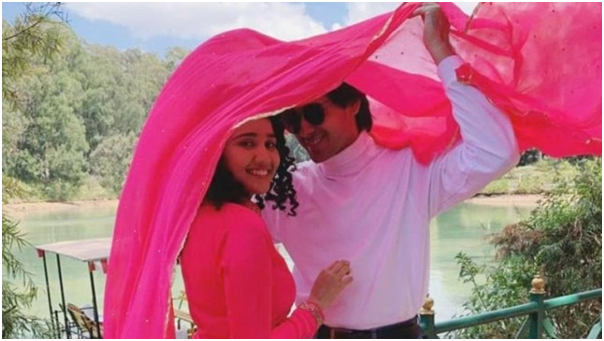 The couple dressed up as the iconic jodi of Prem and Nisha in Hum Aap Ke Hai Kaun for their sangeet ceremony, dancing and sharing some sweet intimate moments. Sameer and Naina romantic getaway to Ooty to celebrate their honeymoon was filled with lots of lovely moments. The lovebirds enjoyed their time and were stuck to each other throughout the time. Awww! Although their honeymoon saw a lot of romantic scenes, the couple did not kiss once. 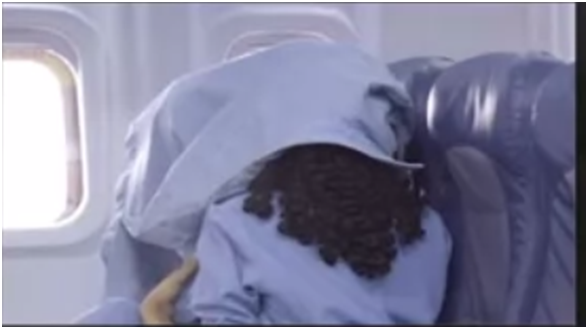 But we finally got to witness the moment when Sameer and Naina get on a flight back home. Getting jealous of the neighboring couple indulge in some PDA, Naina takes the initiate and kisses Sameer, Aashiqui-style. Tell us your favourite Samaina moment!